Building on the success of its online knowledge hub, the Expert Corner, Chicago Pneumatic announced the launch of a new series of informative articles and videos for 2019. Industrial maintenance and vehicle service professionals working with power tools rely on them to improve their productivity, provide a safe working environment and ensure top quality work. The new materials are designed to help managers and operators better understand power tools and all subjects related to them. Topics expected to be covered this year include advice on how to select the right accessories, safe use of grinders and different types of calibrations, amongst others. 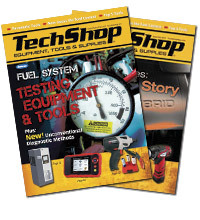 “As a leading manufacturer of power tools, we invest heavily in developing new designs and testing our products to ensure they provide the highest quality and safety levels; but we also believe it is very important to assist our customers to improve productivity and enhance their wellbeing,” said Eva Marie, global communication and brand manager for Chicago Pneumatic. Chicago Pneumatic’s Expert Corner is aimed at anyone with questions about power tool selection, performance or regulations. The Expert Corner provides new articles every month, available in nine languages. A wide variety of topics are covered, from quality torque to employee wellbeing pieces helping managers improve workplace safety. For instance, the Protecting workers from HAVS ­understanding the risks article explains how to identify if workers are at risk of hand arm vibration syndrome (HAVS). The Expert Corner also publishes videos to explain ­ in a clear and interactive way – some of the more complex topics and also to demonstrate certain procedures, such as how to prevent hose whiplash. In addition, the program includes an e-newsletter to keep subscribers updated with the newest information available. 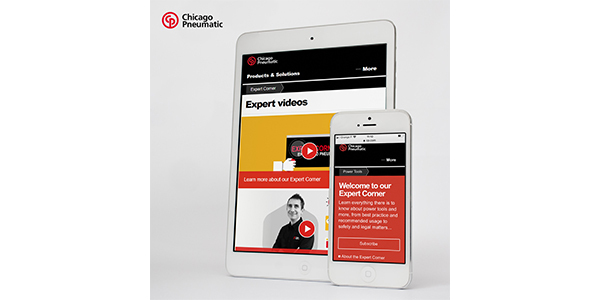 Chicago Pneumatic started its Expert Corner in 2016 with the introduction of free-to-download Expert Technical Guides offering practical advice for selecting, using and maintaining a particular type of power tool or on specific topics, essential for the use of power tools. For instance, What gives power to your impact wrench?, 5 Benefits of Pneumatic Grinders, Is Your Air Tool Installation Right? With their Expert Corner, Chicago Pneumatic wants to impart its 110+ years’ knowledge to help power tool users work smarter and safer by learning from the free advice shared online by its specialists. Managers and operators can submit enquiries about any topics that they have an interest in by completing this Expert Corner contact form. The latest video, which you can check out here, introduces the Expert Corner and outlines how customers can learn everything there is to know about power tools and more. To learn how to choose the right socket for your tool, read the first article published this year: Do you know which socket to use on your impact wrench?.